Tinnitus is a perception of a ringing noise in your ears. A fairly common problem, it is observed to affect one in five people. It cannot be classified as a medical condition in itself; however, it can be an indication of underlying health problems. Although tinnitus is a generally uncomfortable condition it is not necessarily the indication of something serious. Your age may be a contributing factor to the increase in this bothersome noise perception, but when treated properly it will get better. 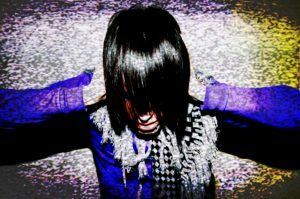 Tinnitus symptoms may include hearing an external sound, such as ringing, buzzing, roaring, clicking or hissing when there is no actual external sound present. In some cases, the noise can be extremely loud and high pitched; in others you might just hear it in one ear. This sensation may not be continuous; you can experience intervals of complete silence. This noise-perception has two kinds, one in which the noise is only heard by you and the doctor cannot hear it on examination. This kind is known as Subjective tinnitus. Whereas the second is the one in which your doctor will also hear the sound on examination, this is because there is an underlying issue with either your blood vessels or middle ear bone. The second condition is commonly referred to as Objective tinnitus. How is tinnitus actually caused? The exposure of your ears to loud sounds and noises actually tramples the hair cells in the cochlea and coiled spiral tube in your ear. Hours of heavy music and loud noises tramples the inner ears like heavy boots on shards of glass. This weakens the capability of the cochlea to send proper noise signals to the brain until the hair cells grow back. This prompts the brain to specifically “search” for noise signals from the parts of the cochlea that are still intact. That is primarily what creates an over-represented illusion of external sound which results in tinnitus. It is a common occurrence that you will feel a phantom noise in your ears after a night of loud noise. This noise perception continues for a maximum of two days until the hair cells are fully grown and performing. But will the condition persist? 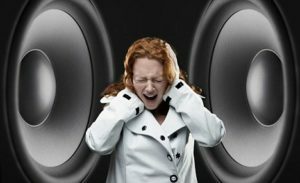 The logic is quite simple, if you are continuously exposing the hair cells in your cochlea to loud noises and they are being trampled repeatedly, they will stop growing back and the “noise” will persist. 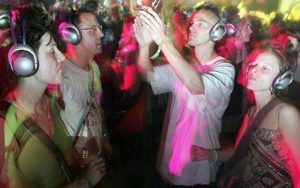 Hence, yes you are likely to get tinnitus from constant clubbing. The symptoms vary from patient to patient, one might describe the sound as ringing the other might describe a screeching metal sound. In most cases the symptoms will reduce with time, but, in persistent cases, severe reactions such as insomnia, depression, and anxiety can occur. A recent study defined the boundaries of sound that can lead to this problem. Exposure to loud noise above 100db for 15minutes and above can be damaging to the ears. The solution is to extend the time between your club visits and immediately seek medical attention if the noise persists after two days. Book an appointment with the closest LCSW-R in New York City to get a convenient examination and treatment.